Simulation mannequins have the ability to mimic a number of real-life human processes. As well as simulating human processes, the mannequins represent diverse populations and are also multi-generational. They are male and female and are of different ethnic backgrounds. The mannequins’ life stages range from infant to adult. The wide diversity in the mannequins mimics what is really represented in our communities. The idea is to simulate the patient population that we will be taking care of. For instance, if all of the mannequins were white, that wouldn’t be effective in an inner city where more than half of the patient population is from a minority background. The more real we can make the simulation, the better. It helps students problem solve and interact on a different level with their patients. The idea is to simulate the patient population that we will be taking care of. The School of Nursing has a total of 15 mannequins. Three are high-fidelity mannequins that breathe, talk and have slight movements. With these mannequins, students have the ability to listen to a number of realistic body sounds, take pulses and perform injections. Six Vita-Sim medium fidelity mannequins have the ability to communicate and interact but are not as life-like as the high-fidelity mannequins. In addition, six static mannequins do not communicate and are available strictly for practicing specific tasks. Our education abroad students also use clinical simulations. 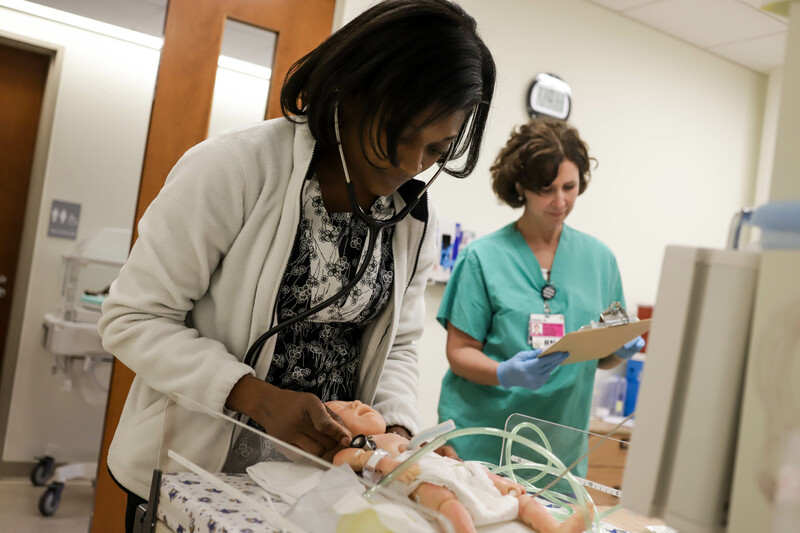 We have sent a pediatric and infant mannequin to Cape Town, South Africa, where students have a pediatric rotation. 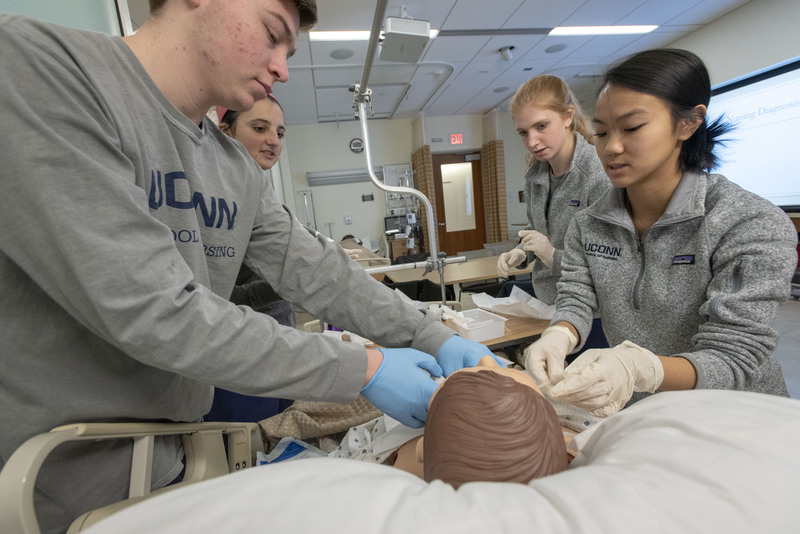 The more real we can make the simulation, the better it helps students problem solve and interact on a more professional level with their patients. All of these mannequins are useful for hands-on training that prepares students for clinical settings, allowing them to learn from their mistakes without endangering real patients and preparing them to enter a culturally and medically complex profession.We follow national standards in simulation pedagogy, with certified simulation educators, and all faculty teaching in the Clinical Learning Simulation Center have had professional simulation training.